If the Reds are trading, who could be moved? The Major League Baseball offseason isn’t even upon us yet, but the discussions are already ongoing for when teams can start to make trades after the World Series ends. The Cincinnati Reds are likely to be active as they look to add pitching, and could explore trades for other weaknesses on the roster. But, if the Reds are going to trade, who or what is likely to be available from them? When looking at the big league roster there are three players that stick out the most: Adam Duvall, Scott Schebler, and Scooter Gennett. Why do those three stick out the most? Well, because the team has other options that may be able to immediately, or very close to immediately step into their place. The team wants to get Jesse Winker into the outfield mix. Right now there are three corner outfielders for two spots. While there are differences between Schebler and Duvall, they bring some of the same things with them: Power, a below-average hit tool and a lower on-base percentage. They are both starting caliber corner outfielders with 30 home run pop, and both make the league minimum. There’s value there to be had. But, to the Cincinnati Reds, one of them may be expendable in the right kind of move. For Scooter Gennett, despite his breakout 2017 season, he plays perhaps the most crowded position of all. While he’s looking like the current 2018 starting second baseman, directly behind him is a group of top or former top prospects from Double-A and on up. Alex Blandino OPS’d .830 between Double-A and Triple-A last season and second base is his best position. Dilson Herrera is a former Top 75 prospect in baseball and has to stick to the big league roster in 2018. 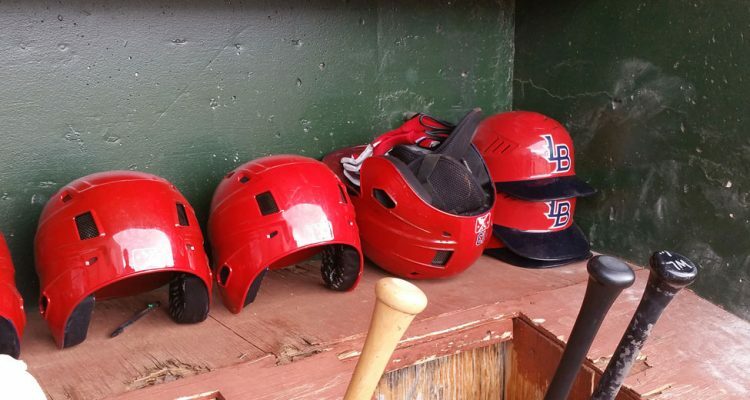 Shed Long is one of the top prospects in the organization and will be in Double-A next season to start the year. And then of course there’s the idea that Nick Senzel could slide to second base, too, which would make things even more crowded – though with a clear “guy of the future” at the position. Now, with so much depth at second base, it also makes those prospects candidates to be moved in trades. While I find it incredibly unlikely the team would move Nick Senzel, the other guys could be targets for other teams as “adds” to a trade to sweeten the deal. The outfield has a need that may need an upgrade in center. While there are more than a few center field prospects in the minor leagues, none of them look to be starting in Double-A or higher next season. That puts any of them at least 2-3 years away from reaching the big leagues. T.J. Friedl, Taylor Trammell, Jose Siri, Stuart Fairchild, Miles Gordon, Andy Sugilio provide the organization with plenty of depth at the position in the lower levels. With that kind of depth, and with no one knocking on the door, this could be another area where the team could trade from a strength to fill a big league need. While I’d guess that Trammell could headline some deals, the others would be more “add ons” to sweeten a deal. Below that level there are guys like Keury Mella, Jose Lopez, Vladimir Gutierrez, Tony Santillan, Scott Moss and Jesus Reyes. Teams are going to need more than five starting pitchers. The Reds have seemed to need almost the entire stockpile of starters over the age of 22 in the organization over the last two seasons. But they are at a spot where they shouldn’t turn down the idea of trading a young starting pitcher in a deal to improve somewhere else. 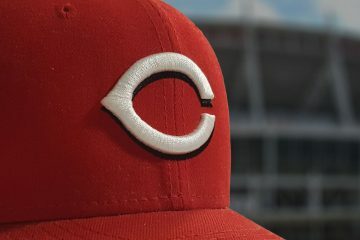 While it’s almost impossible to trade Homer Bailey, and the team would be selling incredibly low on DeSclafani and Finnegan, and flat out insane to trade Luis Castillo after his break through in the Majors – any single other pitcher listed could provide either an option to replace someone that is traded, or to be the trade piece in the right deal. The team shouldn’t get crazy and trade several of the “ready or close to ready” guys in the offseason. But moving one of them, and then a guy further down the chain in a deal would be trading from a strength in the organization where hopefully losing that depth doesn’t come back to bite you.The farm system isn’t only there to provide the organization with internal options for the future. It can also be there to go outside of the organization to fill needs when you have strengths somewhere. The Reds currently are operating with a surplus at a few positions. If they choose to try and use the trade market to improve the big league roster, those are the areas I think we will see players moved from. Eugenio Suarez, Taylor Trammell, Amir Garrett, and Aristides Aquino to the Marlins for Christian Yelich. This seems like a drastic overpay to me. If Suarez is in the deal, add Hamilton and call it quits. There is no way I trade a 5war 3B+ 2 very good prospects, and a wild card prospect. I mean, yea. Yelich has a nice contract. But Suarez is just now arb eligible, so he will be even cheaper. My guess, and it’s only a guess, is that the Marlins are looking for cost controlled prospects and banking on a rebuild reflective of the Yankees with big trades for top prospects. Man, no wonder the Nats fired Dusty and are going all in for a World Series run. Almost every team is still rebuilding. They don’t need a regular season manager in that putrid division. They need someone to manage through the playoffs. I really don’t want to see Suarez go, but I think this is a solid proposal and I think the Marlins would have to seriously think about it. My offer for Yelich would be their choice of Duvall/Schebler/Hamilton, Mahle, Trammell and a 13-20 range prospect they like. That would provide them a cheaper starting caliber immediate replacement, a highly touted pitcher that could step into their rotation next year, a very good OF prospect. This makes much more sense to me. No way I am trading a player of equal value+ 3 good prospects to get back 1 player. This gives them 3 good prospects and a MLBer for next year. Duke – although I respect your baseball and Reds knowledge, I don’t think the Marlins will get that much for Yelich. Although salaries have gone back to being over-inflated, 12-14 million for a center fielder is quite a bit for most clubs to stomach – so his value is really while he’s being paid less than that over the next 2 years. I think the Adam Eaton trade to the Nationals last year is a better gauge. 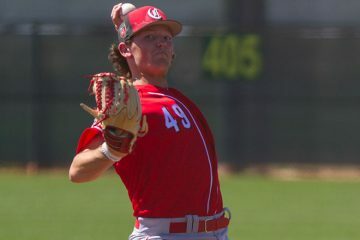 White Sox got 2 top 50 pitching prospects and another very good one. However, they were all prospects. Trading a very good third baseman in Suarez, a good pitching prospect who has now demonstrated at the ML level in Mahle, 1 good prospect in Garrett, and 1 top 100 prospect in Trammel seems like desperation to me. The Reds aren’t desperate because they are know where near the playoffs. I think others here have proposed some very good value for Yelich that they would likely bite on. I think the Reds can offer more talent than almost every other team – unless the White Sox want him! Jesus Christ. That’s a horrible trade. Good lord. ? Replace Trammel with Billy Hamilton and I’d do it. I think I would just move Suarez to CF and keep my trinkets for another deal. You have to trade something to get something but I would almost make Trammel untouchable at this point. He might be the superstar you let get away if you trade him. I like it, except Hamilton instead of Suarez. Maybe you are thinking Hamilton is not enough, but that is some pretty good additions.. I would not rule out trading Castillo or Hunter Greene because they are our two biggest trade assets and pitchers are fragile. Have to get the FARM for that one. I would rather keep Senzel, Castillo and Greene. Im looking for smaller moves. Trade Duvall – Gennet for Profar. Let him compete with Peraza for the SS job. Internally, Finnegan is in the BP, Winker starts every day, Ervin platoons with Schebler. The Red Sox need some pop, Duvall could DH and rotate at 1b or corners. Package him correctly for Jackie Bradley JR allowing them to also get in the market for JD Martinez/Upton/Gonzalez. Profar doesn’t have power or speed. He hit .172 last year and has hit under .230 for his career. He has not even been playing shortstop most of the time. In his 206 games he has played in at MLB level only 36 of those games has been at short. Not sure why you would want him. Lots of hype when he came up as a 19 year old but he is 24 now and still hasn’t been able hit enough to stay in the bigs. Thanks Jason. Don’t see how people are coming up with these trades. He has yet to be healthy, was pushed off SS for an established SS, and at 24 is still young enough to put it all together if given the chance. Much like Tim Beckham, hes a flyer. Take a chance, to find a bounce back player that is still young and controllable. Pitchers: Robert Stephenson, Raisel Iglesias, Michael Lorenzen, Amir Garrett, Cody Reed, Wandy Peralta, and any pitching prospect not named Mahle or Greene. Position: Billy Hamilton, Scott Schebler, Scooter Gennett, Adam Duvall, Jose Peraza, Dilson Herrera, and any prospect not named Senzel or Trammell. Protect the new ML core-4 of Votto, Suarez, Barnhart, and Winker. And also Castillo and Romano. The 3 injured SP’s have no market in Bailey, DeSclafani and Finnegan. Back up the prospect truck, beep-beep-beep, for any team willing to give the Reds quality for quality. Quite Frankly the Reds have been horrible because they have been afraid to trade prospects. Look at our once hot prospects Garrett, Reed, Stephenson, Winker their values really have dropped. At one point guys like this could have gotten a Quintana and Charlie Blackmon. Most prospects do not pan out so you should not get overly attached to them. How about jackie Bradley jr? Said the same thing over at red leg nation earlier today. Bradley was just ok this season, but had a good year last year. Is a better hitter with better power and on base skills. He may not be as quite as good as hamilton on defense, but he’said not far behind. He would cost much less than yelich. I’m inclined to trade high on Scooter; perhaps to AZ for one of their SS. During the trade deadline I was dreaming on getting Robles (CF) from the Nationals for Iglesias and others before they made other moves. He’d solve a lot of problems but is close to untouchable. Of the corner outfielders, Duvall would be my first choice to move due to Schebler having less service time, ability to play CF and he hits so well vs. left handers. Package Duvall with a prospect for a young reliever with closer potential who could take over once we trade Iggy at next year’s deadline. Brandon Dixon could be included in a package deal as well as LaValley. If im management I’m only moving MLB ready players and secondary prospects unless I’m bringing back a top of organization talent like yelich or archer or snell. So trammell Greene and mahle and senzel are off limits unless I’m getting an all star in return. I’m also only interested in trading surplus. So not ilglasisis. Reds have a surplus of average players so hard to find someone to bail you out and trade still look good. They won’t get an equal value for Schebler or scooter. Guys like that will have to be throw ins on bigger deals or traded for lesser value than what they bring to reds. Which I don’t think is a bad thing. If u trade scooter or Duvall for a 7th/8th inning guy thats a win for reds. At end of day I see Suarez being best trade candidate. Coming off a huge year at prime position w control and not terrible salary he’s an option for most teams. Turning him w prospects into a front line starter is big win imo because he’s expendable. Suarez, r Stephenson, Duvall for archer. Tampas line up improves a ton and setepehnson is high risk high reward. They need to shack something up. Or Romero mahle Stephenson for b Rodgers OR ilglasis Romero mahle for Rodgers. I think that’s huge for Rockies. They need an endless line of starters to compete. Lots of trade partners out there! Don’t think you are getting Rodgers from the Rox. They have a serious need at SS. Story only hit about 230 last year, and always swings for the fences. The trade of Iggy, Romero and Mahle is way too much, for an unknown. Iggy for Rodgers is a good trade for Col.
What about buying low on story? How is he d? Last I looked Rays have a pretty good 3nd baseman. If you were a marlins fanWould you want your team to acquire reed or alfrod? Whoever you trade, use them to build this awful bullpen. None of the trades here even address that. You take last years offense and a lights out bullpen and we’re in the playoffs. Forget that a pitcher can throw 100 mph. So what. Get some pitchers that have movement. Command. A balanced bullpen. 4 righties, 3 lefties. Oh and a new manager with Danny Darwin as pitching coach. Bull Pen was not bad last year, it was over used. The real issue was the horrific SP. Reds got Garrett and reed and finny who all seem to be headed to pen. There’s your 3 lefties. I noted above trading an mlb player for a set up guy. Free agency seems a little weak in relief market. It’s a big need though and if we see 2 trades- 1 will be for reliever. Wonder if CIN would trade Duvall and Schebler. Wonder if they could sign Cameron Maybin to a 2-year deal with a year 3 team option and thus lining up the timing of our OF prospects. Power plays up in CIN. CIN could bolster its pitching this way. If you look all around baseball. There isn’t hardly any good CF. I am not trading the farm for a CF. That is how i feel about that. I would never trade a guy like Trammel either. If you look in the minors ,you will see that there isn’t a whole lot of talent in the outfield. I am hanging on to the one good outfielder i know we have in Trammel and i don’t care that he has just a average arm and i am not worried about rather he fills out or not. Even if he does he is still going to have above average speed. He is, as of right now and for ever will be a better outfielder than Jesse Winker defensively. He is the reds future left handed bat for production. To me this guy is just as much off limits as Senzel. I have not left out Siri. I want to see him in AA before i make up my mind on him. As for Aquino , as of right now i will put him in the Duvall category as far as what i would expect out of him. And no i am not saying Duvall is bad guys. As for the guy’s i would trade. Any of our outfielders, but only one at the moment unless we get a outfielder in return. Then i would trade 2 of them. I would also consider trading Suarez , if the package was Fair. I agree i think he would bring back the best return. I would also trade Greene in a headliner if we are trading for a game changer. Greene there is no guarantee he stays healthy, and he is a long way away from the bigs. I would also add these guys to possible trades; Peraza if the reds sign Cosart to a 2 year deal or more. Unless Hamilton is one of those outfielders traded. I would also consider Jesse Winker in a trade. His defense is a liability . I have been saying it all along that Winker is a DH and that eventually he will be the one traded. Lorenzen is also i guy would trade now in any package. Anyone but Castillo, Senzel, Trammel , Mahle and or Long or Dilson Herrera . Keeping one of those second baseman. As far as which young pitching prospects i would trade between Stevenson, Romano, Garret, Mahle, Reed, Lopez,Gutierrez, Davis, Santillan . Mahle and Romano i am keeping as of now. The rest i would consider in a trade. I wonder what those Mariner boards looked like when they drafted Jr. And the ARod? Let’s keep Greene for a season at least…. Iglesias/Schebler to Nationals for Taylor/Difo and 1 of Juan Soto/Carter Kieboom. How about this? Scooter to the Rays for Lucius Fox and Chih-Wei Hu. The Reds were interested in Fox before he signed with the Giants a couple years ago and could be the answer to the long term shortstop question, Plus the Rays already have Willy Adames close to the majors. Chih-Wei Hu looks good in either a starting or long relieving role and is close to the majors. Doug, would you consider a trade with the Yankees that revolved around Gleyber Torres and Hunter Greene? Yankees could use young pitching. Torres is blocked at his natural position, though he could still play 2nd or 3rd. Reds need a shortstop. Greene is built for the bright lights of New York with all his hype and would be a marketing machine for both the Yankees and MLB. Seems like a good starting point for the two teams and a winnable trade on both sides. If not Greene, what might it take to make that work? 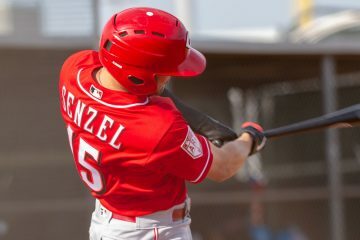 Senzel would certainly be a consideration as well and it would fill needs for both while allowing each player to stay in their natural position. Would have to talk to scouts to see what they thought about Torres at short. But, I don’t think the Reds are going to entertain trading Hunter Greene anytime soon, so it’s not really worth pouring the time into discussing much. I know it would be tough to part with Greene, but they wouldn’t be the first franchise to trade that pick. 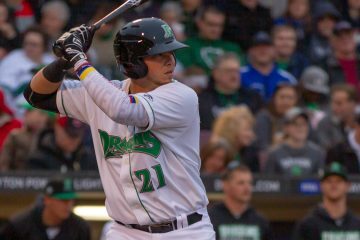 If Torres is still a top 25 prospect, it makes sense. When was the last time a Top 2 pick was traded within 6 months of signing? So if I’m crunching things correctly, that means we are looking at about 17% of top 2 draft picks that have been traded within 6 months of signing, from the point they added the rule. I don’t know your thoughts on those numbers, but that seems like a high percentage. Personally I wouldn’t have brought those numbers and that situation into the discussion but thats just me. Push it out to a year and a half. It just doesn’t happen often. I really think the Reds need to trade both Duvall and Scooter asap. How about this possible trade. If the Angels can’t resign Upton, we give them Duvall, Scooter, Stephenson and a low level/high ceiling prospect or 2 for Andrelton Simmons. We fix the need at SS for the foreseeable future, which the organization is pretty weak at the near major league level. You also open up a spot for Senzel/Herrera at 2nd and shed the arbitration salary coming up. And then sign Lorenzo Cain or Jon Jay for CF splits with Billy as platoon for all 4. There might be enough left over for a relief pitcher in there too. My offseason priorities would be to upgrade CF and/or SS. I’d like to see the Reds let the internal starting pitching options compete on the field for 2018. First step, is to make a qualifying offer to Cozart. If he accepts, SS is filled, but salary flexibility for 2018 is largely exhausted. If Cozart is in the fold for 2018, I’m more comfortable with Hamilton in CF. – Gennett (upgrade/platoon partner at 2B) and Duval (fills need at 1B or LF) to Boston for Bradley. Salaries are about equal, Boston picks gets an advantage in expected WAR, so I’d ask for a mid-level prospect in return. – Suarez (fills need at 3B) and Hamilton (backfills Yelich in CF) for Yelich and Volquez. With Volquez injured and out for 2018, his inclusion is simply to meet the Marlins desire to shed salary and would offset the expected WAR advantage the Reds would gain in the trade. Since, I don’t recommend targeting major free agent signings, the Reds can afford this contract as long as Cozart is not resigned. – Duval or Schebler (fills need in LF) and Suarez (fills need at 3B) to the Braves of Enciarte. Enciarte and Suarez are equal in terms of WAR, Schebler or Duval is used to offset the value of Enciarte’s longer team friendly contract. With a quality player in CF, the Reds should now be more comfortable with Peraza at SS. One player that could provide an upgrade is J. Profar from the Rangers. The once #1 prospect in baseball has floundered in the majors an only has two years of control remaining before FA. On the other hand, he’s only 24 next years old and has talent. If he could be acquired for a couple of mid-level prospects such as Gavin LaValley and Michael Beltre, he’d provide a potential upgrade at SS and allow Peraza to fill a super utility role. Lastly, if I still have Hamilton, Gennett, Duval or Schebler remaining and don’t need them to fill a starting role on the 2018 team, I’d recommend trading them to bolster the bullpen./bench. Ever since Doug posted the idea of Yelich, I can’t stop thinking about it … really fills a lot of gaps in the current and immediate future. At any rate … this is my first post … love the site! Keep up the great work, Doug! There are a couple of FA center fielders available in addition to Yelich, Bradley and Enciarte. I think how much they sign for this winter could inform how much taking on a contract like Volquez might offset the prospects required to swing a trade with Miami. Will there be more than 5-6 teams looking to upgrade at CF? If not, that will suppress Yelich’s trade value somewhat. Winker will play everyday in LF or RF. Ervin may make the club as the 4th-5th OF, depending on who stays. Gabby Guerrero is likely the AAA insurance for Ervin (unless CIN loses him to the Rule V Draft or minor league free agency – if applicable). Pollock is an interesting case. CIN could shop him at the Trading Deadline (assuming they are not in the Wild Card race) or make him a QI in 2018/2019. Losing him would likely mean a 1s pick. We could see a platoon of Schebler and Ervin in CF if Hamilton is dealt. I think at least one of Duvall-Hamilton-Schebler is dealt. I like all 3 OF’s but CIN will want to line up contracts to expire with the age of Trammell and perhaps either Friedl or Siri. Aquino is a possibility yet too (if he learns to draw a walk). I think Peraza will get the shot at SS and Trahan is waiting in the wings. If both fail, Rodriguez is likely next up – unless they go after Iglesias of DET. He is a free agent next year though. 2B will at some point go to either Suarez, Senzel or Long. Herrera could still sneak in there but he’ll have to prove healthy from here on out. It is going to be quite interesting where Senzel ends up. 3B, 2B, LF? There is talk of SS but I don’t see it. If he’s healthy and hitting, he’s up around June though. CIN has a very nice corp with Barnhart, Votto, Suarez and Winker. I could easily see Peraza, Senzel and Long developing out nicely too. Mix in a veteran or two in the OF and you have a potential 1st class offense. The park will continue to help too. Good comments, and well thought out. I like Duvall but think he brings a SP that we need. With Winkler ready to step in makes the most sense. Hamilton just does not seem to be able to put all those skills together, offensively.